Rebecca Gosnell, winner of And Now What? 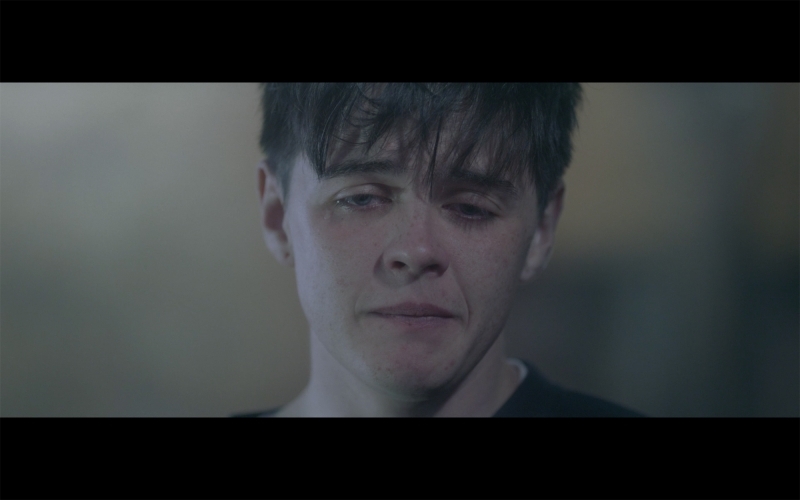 Film Fund 2017, shares her experience as director of short film ‘The Cure’ (watch above). I would recommend the Film Fund to anyone who has a passion for storytelling, regardless of experience level, who would like the chance to develop their skills in a supportive and inspiring environment. Still from the final film, Pete Machale ‘Toby’ is in the centre of the screen. For the story, structure, and themes of The Cure, I was inspired by true personal stories that have been shared with me by many friends over the years, as well as news articles and a variety of real-world examples of teenagers who have had similar experiences to the main character. Visually, the main inspiration for the film came from an incredible short called ‘Sea Wall’ – which I saw last year at a film festival where I also screening one of my shorts. The film takes the simplistic form of a single monologue in one take – following a character as they reveal a vulnerable and heart-breaking story to the camera. With this in mind, I kept the framing as minimal as possible with limited camera movements. My cinematographer Izzie Jones shared my vision completely, and was of great help when storyboarding and planning, helping me identify the most vital shots to film during production. This meant that the shoot itself was as smooth and stress-free as possible. Also helped by co-producer Ashleigh V. Powell and assistant director Ben Harrison, I was able to completely focus on performances throughout the day. 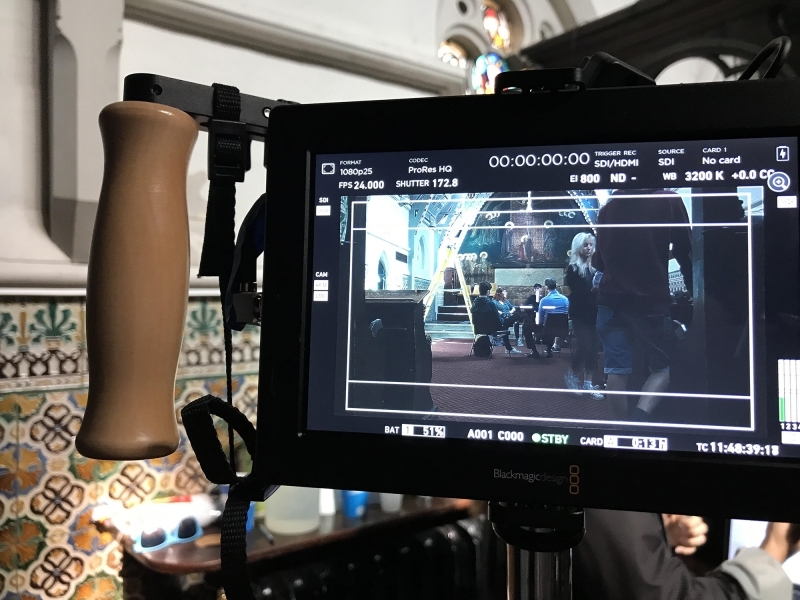 Film crew in the London Jesus Centre chapel. 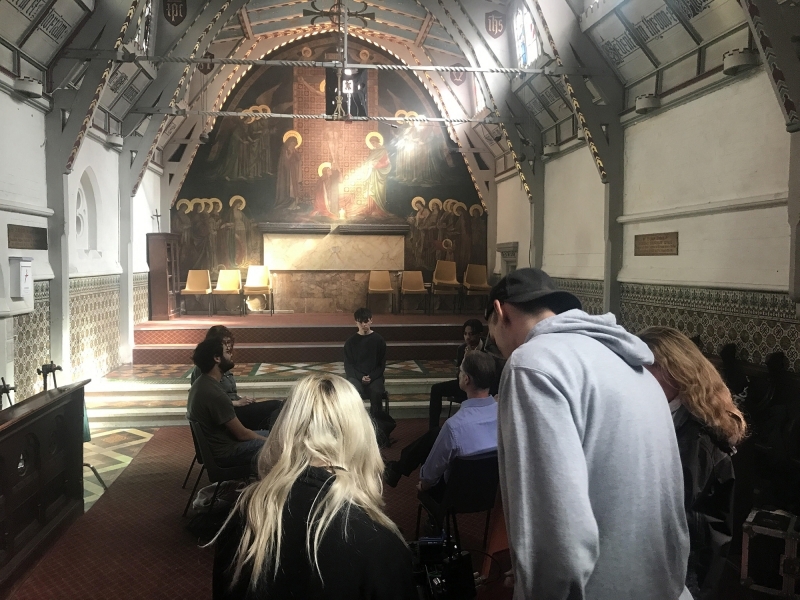 For our location, we were lucky enough to film in a beautiful chapel near Oxford Circus, which belongs to the London Jesus Centre. The artwork, architecture, and interior colour scheme all helped to enhance the mood and tone that we had already worked so hard to weave into the script, cementing the believability of the scene. The high windows also allowed us to have full control over lighting, so we could push the intended moodiness of the piece as much as we needed. My biggest priority throughout the filmmaking process was staying true to the simplicity of my original idea – an honest, emotional moment within a group therapy setting. 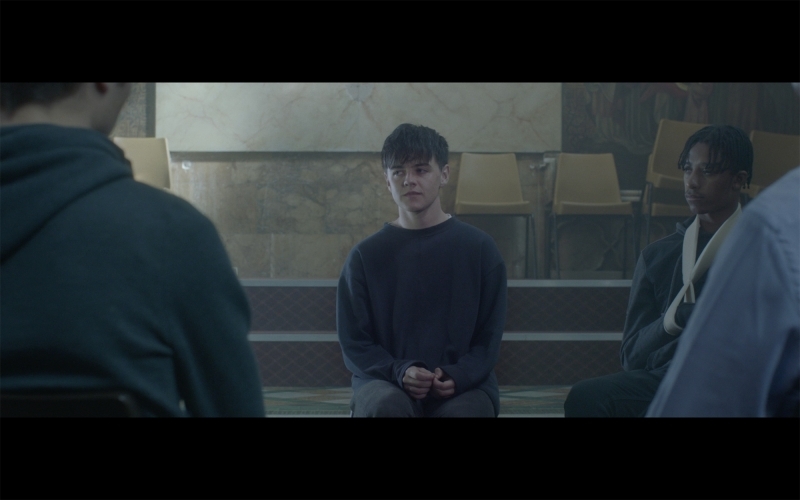 Still from ‘The Cure’, with three central characters. I wanted the raw emotions of the scene to take centre-stage, and also to give the performances enough room to breathe when filming. Pete Machale, who played Toby, brought incredible depth to the role, and collaborating with him throughout pre-production pushed the character to evolve and strengthen in ways I never could have discovered alone. Luke Wale, Rosie Morland, and Lulu Ladd all did a fantastic job throughout the post-production process. Using minimal cuts, atmospheric sound design, and subtle grading they added an extra dimension to the action on-screen without distracting from the core dialogue and emotions underpinning the film. The months spent creating ‘The Cure’ have been my most enjoyable and inspiring time in filmmaking so far – and I have many people to thank for helping to bring my film to life. From the very beginning, Nandita and Onyeka from The Roundhouse supported me with every aspect of production, and were always available for advice and feedback on my ideas. They introduced me to a brilliant mentor, David Alexander, who gave me many useful suggestions on how to tighten up my script and make it as ambiguous and believable as possible. Many of his ideas can be seen in the final piece, and I think the film is undoubtedly stronger as a result. The final film has exceeded my expectations in many ways, and I think it is something that everyone involved should be proud of.